Abraham is a 35-year old from Madrid who decided to change the capital of Spain for the island six years ago. 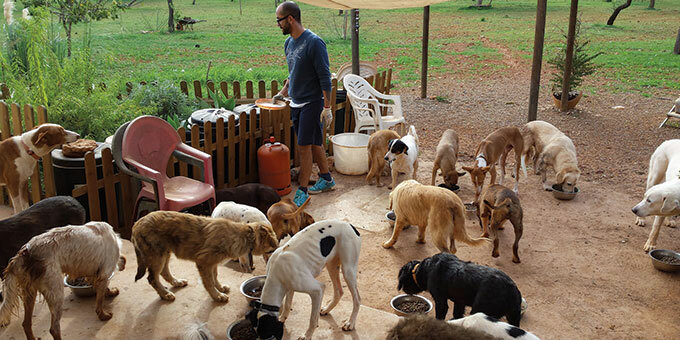 He came to Ibiza in order to relate with animals in the way he wished to. 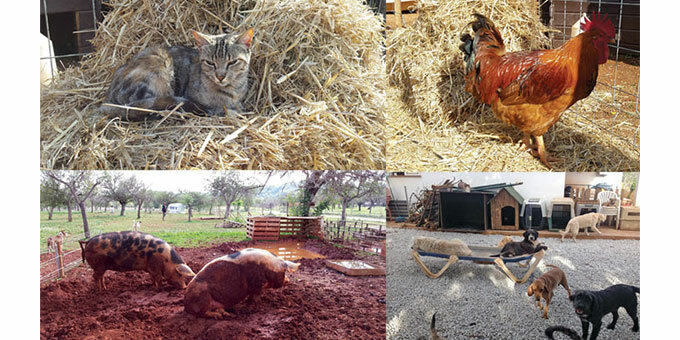 In fact, he lives in a country house between Sant Carles and Sant Joan along with his 35 dogs and 50 cats who roam freely, as well as eleven pigs, goats, chickens and even a horse. They all live together and that is what makes it so different. “This is not (just) a dog shelter nor a dog home”, he specifies. The members of his big family are constantly changing. In a year and a half 70 dogs, cats and horses have been adopted. 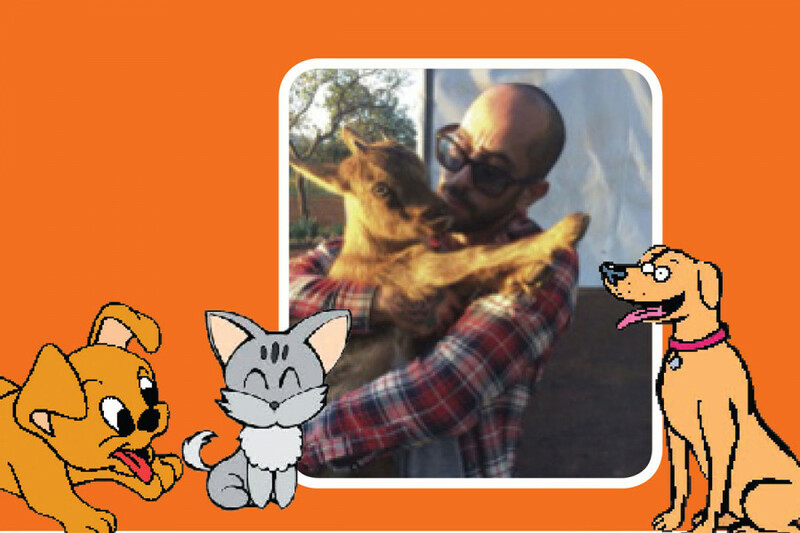 Abraham loves to go to the Sa Coma Animal Shelter and rescue dogs, generally choosing the neediest. This is an expensive hobby as, for each animal he rescues, he must pay the corresponding municipal tax. The fact that he lives in the countryside makes it easier to maintain the animals, as he explains: “I make the most of what nature has to offer to feed them. There are trees that give fruits, and I also sow and harvest. The cost of maintaining the animals drops a lot when their conditions improve. I also have the help of some veterinarians.” In addition to Sa Coma, he works with other charitable institutions on the island. He takes the animals to visit elderly people with Alzheimer’s and goes to hospitals. Abraham feels that the most beautiful thing is that these animals can show people that, even though they themselves were abandoned, they are able to help them. Abraham is making his dream come true, but his long-term aim is for the wellbeing of the animals to be less of an effort than it is now. “There is a lot of work to do every day. There is pain also because sometimes we lose animals and some days I just cannot keep up with the work.” In spite of it all, he says he is in a process of personal growth. “This is what I want to have, not a dog shelter but a peaceful home in which animals can communicate. It is not all rosy pink, but this is my dream and my refuge. I cannot imagine doing anything else in life”.